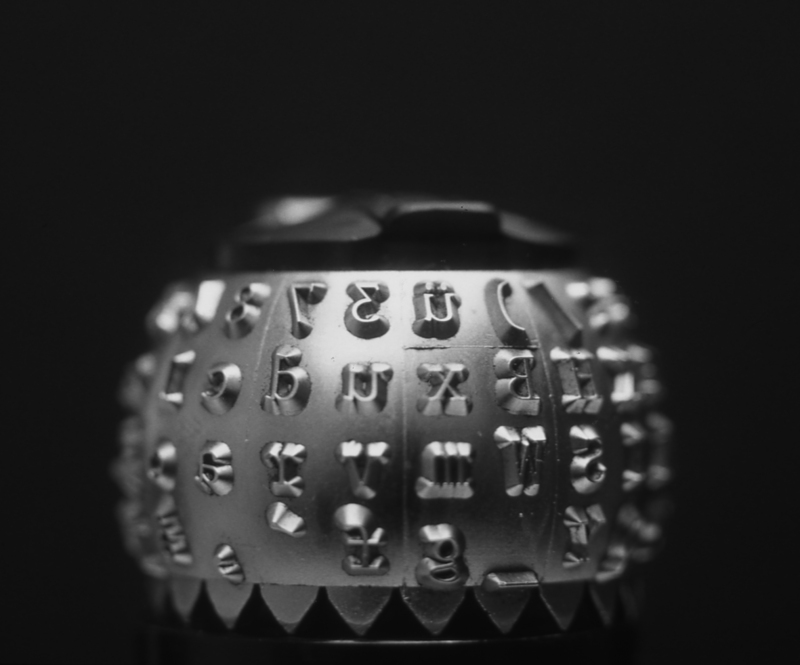 The sculpture is an enlarged fontbullet from IBM Selectric II Typewriter Selectric was the first typewriter with interchangeable fontface designed in the 1960th, later developed into the wordprocessor/computer. 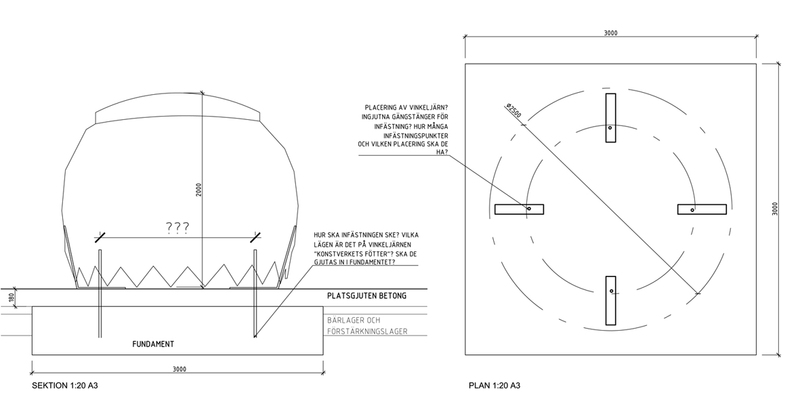 The fontglobe sculpture has a new fontface, ODE. 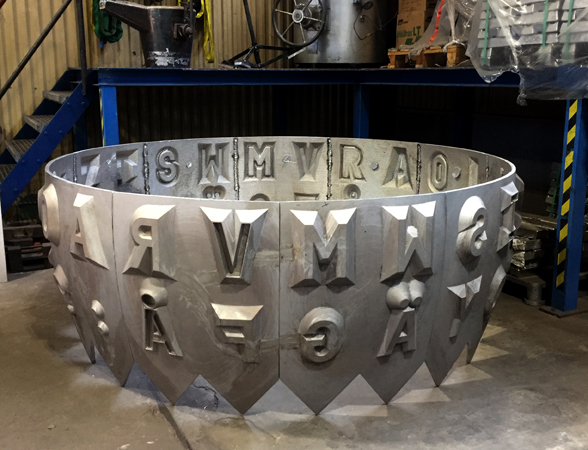 Made in aluminum at Westermalms Metallgjuteri, 250 cm diam, under work 2019. Fontbullet from Selectric Typewriter 35 mm diam. 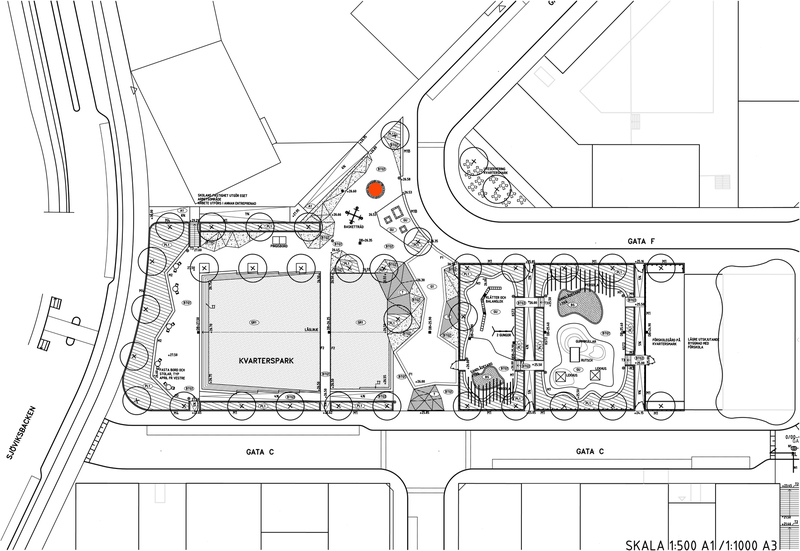 Ode is under work, commissioned by Stockholm konst for a new parc in the area Årstaberg, Zachrisbergs parken. Teh new fontface is designed together with graphic designer Christopher West. 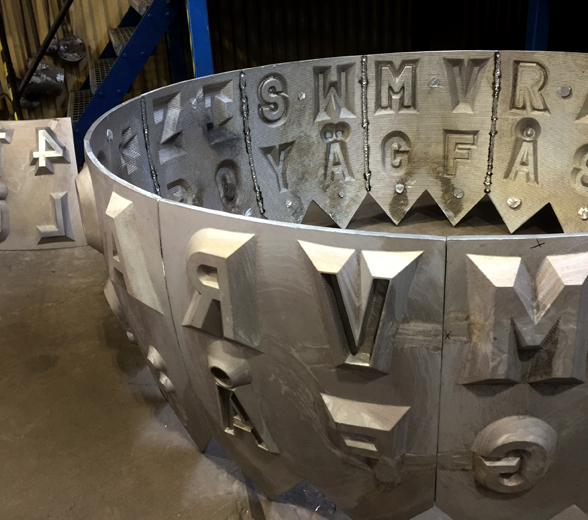 Words from the fontface will be stamped in the concrete surface around the sculpture. Prepositions.